Bertrand is a very impressive jumbo athlete that has played two seasons of varsity football. He creates space well when running his routes and is deceptively fast, taking away good defensive angles. At the next level he projects well as a MIKE linebacker. He shows incredible instincts reading the play and anticipating the hole the running back will be going thru. He does an elite job of keeping his head on a swivel, accelerating in the direction of the play then performing a textbook tackle attempt. 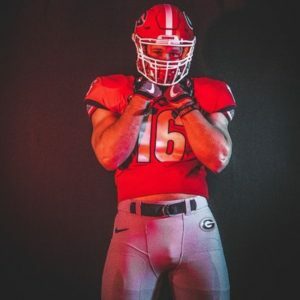 Bertrand is absolutely one of the top linebacker recruits for the class of 2019 in Georgia. Impressive IQ, should do very well in the SEC.